Data Engineering has become a necessary and critical activity for business, engineering, and scientific organizations as the move to service oriented architecture and web services moves into full swing. Notably, the US Department of Defense is mandating that all of its agencies and contractors assume a defining presence on the Net-centric Global Information Grid. 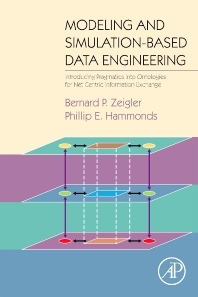 This book provides the first practical approach to data engineering and modeling, which supports interoperabililty with consumers of the data in a service- oriented architectures (SOAs). Although XML (eXtensible Modeling Language) is the lingua franca for such interoperability, it is not sufficient on its own. The approach in this book addresses critical objectives such as creating a single representation for multiple applications, designing models capable of supporting dynamic processes, and harmonizing legacy data models for web-based co-existence. The approach is based on the System Entity Structure (SES) which is a well-defined structure, methodology, and practical tool with all of the functionality of UML (Unified Modeling Language) and few of the drawbacks. The SES originated in the formal representation of hierarchical simulation models. So it provides an axiomatic formalism that enables automating the development of XML dtds and schemas, composition and decomposition of large data models, and analysis of commonality among structures. Zeigler and Hammond include a range of features to benefit their readers. Natural language, graphical and XML forms of SES specification are employed to allow mapping of legacy meta-data. Real world examples and case studies provide insight into data engineering and test evaluation in various application domains. Comparative information is provided on concepts of ontologies, modeling and simulation, introductory linguistic background, and support options enable programmers to work with advanced tools in the area. The website of the Arizona Center for Integrative Modeling and Simulation, co-founded by Zeigler in 2001, provides links to downloadable software to accompany the book. As Technical Director for an IT company, Phillip Hammonds’ duties include overall technical direction of several C4ISR engineering programs for national agencies and military service organizations. In particular, Dr. Hammonds focuses on modeling and simulation, and the rigorous data, metadata and software engineering necessary to create and test multi-source, interoperable intelligence, and command and control products and services in the expanding Net Centric environment. Dr. Hammonds received his PhD and Master's Degrees from the University of Arizona; his dissertation focused on natural language directives processing and analysis. He has published articles and software in the areas of modeling and simulation, high-performance computing analysis, data engineering, and Slavic linguistics. "This book provides a practical methodology and framework to address some of the most pressing challenges impacting the interoperability and supportability of Information Technology (IT) systems and their viability as part of the Global Information Grid (GIG). The surge in capital investment in IT systems, the proliferation of hardware and software as well as the dynamic forces influencing technological growth has made Interoperability and Supportability (I&S) of paramount concern to those who develop, field and support information systems and technology, government resource sponsors and those who exercise congressional oversight. Many projects are brought into the acquisition lifecycle under a sense of urgency that brings ill-defined or vague requirements. Furthermore, because the dynamic nature of this industry often outpaces the ability of the DoD acquisition system to field or support IT in a timely manner, programs may be linked to legacy data and operating principles, or otherwise rooted in legacy platforms that prohibit attainment of the full efficiencies represented within the latest commercially available technology or service oriented architectures. The activities associated with obtaining I&S certification have proved to be uniquely critical issues in the IT fielding process and are the most significant in terms of their impact on the efficiency and effectiveness in fielding IT systems.